Happy Weekend, friends! It's going to be a gorgeous weekend here in Virginia, and we're going to be spending it working on home projects (do they ever end? ), getting together with friends and family, and taking a trip to the pool! But, first, I wanted to share some inspirational finds from around blogland this week. The talented, Emily, from Jones Design Company, shared a tour of her lovely home this week. 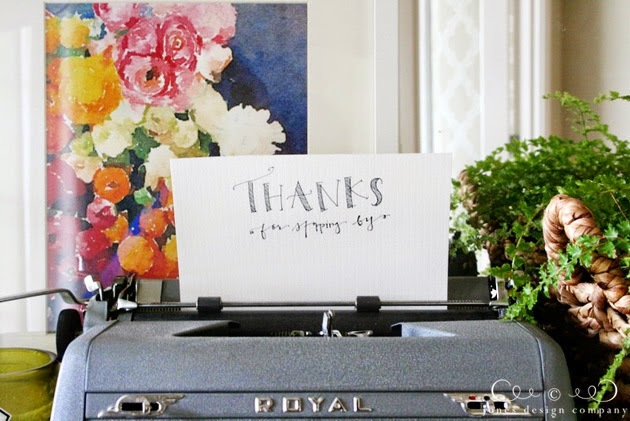 She's sharing her home as part of the Summer Tour of Homes with 19 other bloggers, a full list of participating bloggers is at the bottom of the post. It's yard sale season again, do you know the ins and outs of negotiating? Apartment Therapy shared An Introvert's Guide to Haggling Like a Pro, a must-read to get the best price on anything! Made this Quinoa Caprese Salad from Little Leopard Book last night and it was an absolute hit! With tomatoes coming into season, I can see myself making this a lot over the next couple of months. Love movies? Design Mom shared Five Summer Films, a roundup of movies she and her family want to see this Summer. This list has definitely inspired me to get a date night with my husband on the calendar!